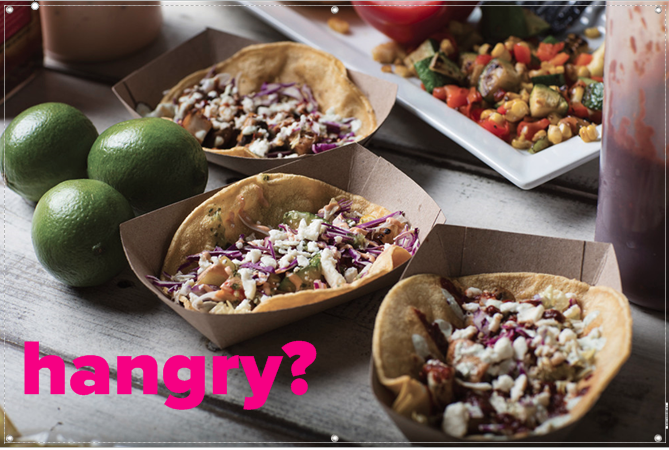 FaVe Tacos' mission is to make healthy living on the go flavorful and easy. By refocusing the dish on the vegetable component, we make the healthy choice a delicious one. Started in 2017 by Elizabeth C., FaVe Tacos is the go-to choice for people leading busy lives. With fewer meals cooked at home, and more snacks and power lunches eaten between meetings and on the way to pick up the kids, we are making fast food healthy & local, while leaving the preservative & processed ingredients out of the mix. FaVe Tacos also makes it a priority to buy whenever possible from local farms. Many of the farms that we purchase from can be found a few stalls down from us at the farmers markets we attend. Follow Us on Instagram for Event/Market Location Updates! !